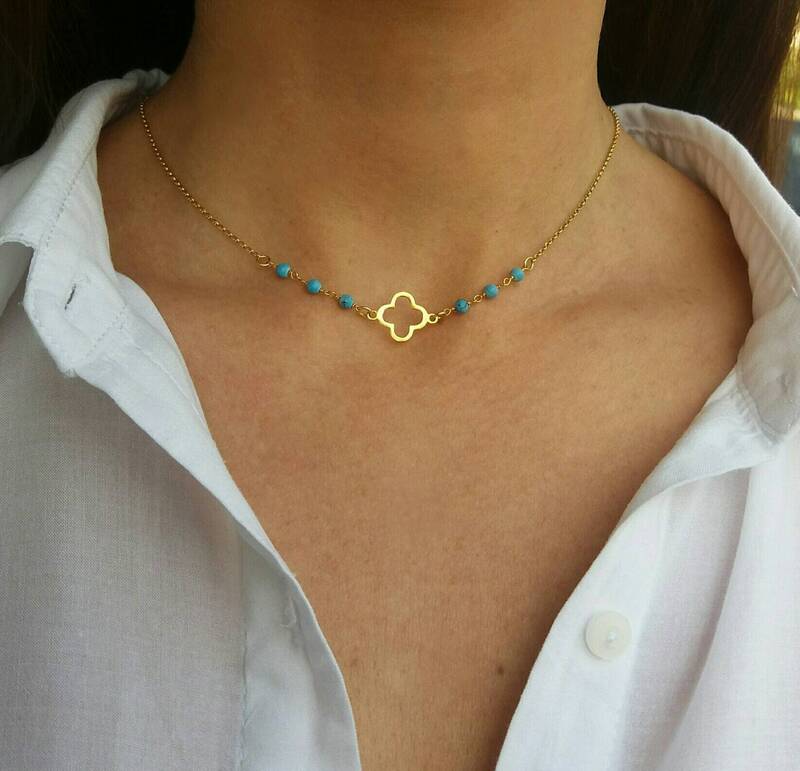 A nice, dainty 14k gold filled necklace with an eye catching turquoise clover. 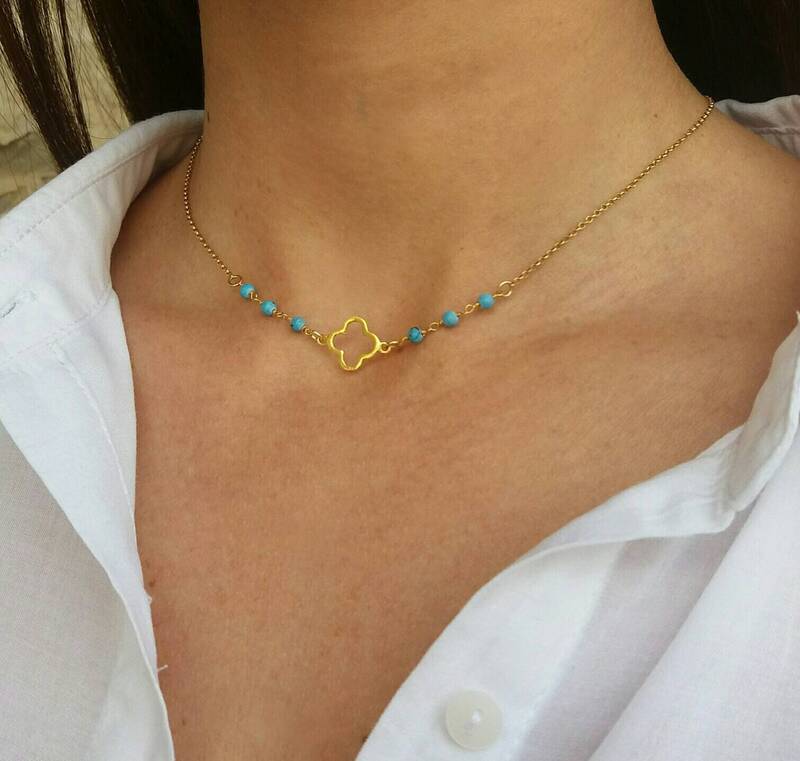 A dainty everyday necklace that brings good luck and protects the person that is wearing it. Length approx. 16 inches / 40.5 cm - with 1.2 inch extension.